Learn how to take great shots with your point and shoot camera or cell phone. Follow lessons on composition and lighting. Try new techniques and take tips from the pros. Learn how easy it is to edit and improve all of your photos with free online apps. Scroll down to find hundreds of helpful tutorials. Free Photography Lessons to Get You Started at Creating Great Images Follow any and all of one hundred and seventy free online guides and learn the tricks and techniques that the pros use. Learn How To Photograph Everything Follow any of more than one hundred, top quality, free video lessons on all aspects of fine photography. 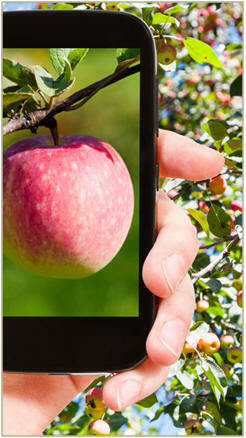 Learn the Basics of Using Your Digital Camera Take perfect digital photographs. Learn tips, hints and techniques in free online lessons by some of today's most talented photographers. Confused on Which Camera and What Photo Equipment You Need? Now You Don't Have to Be. 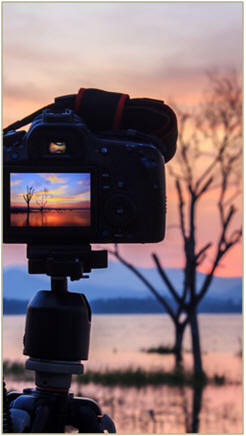 Read any and all of dozens of easy guides to digital cameras, DSLRs, tripods, lighting equipment and more. Trick Photography And Special Effects E-book Become more creative and artistic by taking breathtaking photographs that blow people's minds away! Dozens of rare trick photography ideas are included in this 295 page e-book, along with nine hours of how-to photography video tutorials. Improve the Composition of All of Your Photographs Click to find and follow dozens of lessons on creative photo composition from some of today's top professional photographers and educators. Free Tutorials on Photographic Lighting Learn how and when to use natural lighting, room lights, flash and studio lighting. Pro photographers' free online lessons will guide you to perfect results. Get Pro Photographers' Tips, Tricks and Free Online Technique Lessons There's always something new to learn about photography. Here are a bunch of easy lessons on how beginners can improve all of their shots. Learn How to Take Professional Quality Digital Photos Subscribe to Focus eMagazine and get two eBooks: Digital Photography Success and Advanced Digital Photography. Follow professional photographer Amy Renfrey's lessons and learn how to capture light and use it to create perfect photographs. Click thru to learn more. Learn How to Create Dramatic Black & White Photographs from Your Digital Photos Follow free online lessons by a variety of talented photographers. Learn Photo Editing and Digital Painting Get 26 professional Photoshop tutorials. Create perfect photos and digital images. Lear the secrets of photo manipulation, cartooning, retouching, portrait makeovers and much more. Order your lessons risk free, with a 60 day money-back guarantee. Free Cell Phone Photography Guides Chances are that you carry a pretty good digital camera with you wherever you go. All you need to do is learn how to use it. Here are some free online tutorials on phoneography to get you off to a great start. Photography Masterclass You can master any digital SLR camera and take gorgeous, attention-grabbing photos by following step-by-step video tutorials. This fantastic collection of lessons is your shortcut to becoming a professional quality photographer. And, you can try the videos for sixty days on a full money-back guaranty. Just click to read more and to see the quality photos you will be creating. Free, Online Photo Editors Here are some free and easy-to-use photo editors that might be all you need to improve your photos' exposure, color, sharpness and tilt, to crop them and to add a bit of special effects. Easy Art From Photos Learn how easy it is to turn photographs, snapshots and even cell phone shots into something like art. Transform your digital photos with easy effects that will make them look like drawings, watercolors and oil paintings. Or, add drama by converting digital images from full color to black and white. Free Art Lessons Learn from hundreds of free demos, tutorials, videos and how-to tips from top artists and art publishers. Get started on a creative new hobby or advance your existing drawing and painting skills. Find out how to improve your artistry with the best composition, perspective and colors. Learn how to use mixed media, pastels and underpainting techniques. And, get tips on how to paint and draw outdoors. Free Craft Lessons, Patterns and How-To Demonstrations Beginner Advanced Teach yourself how to paint with watercolors. Advance your existing skills, or get started on a creative new hobby. Learn watercolor techniques and tips from the pros. It's all here, in hundreds of free online tutorials and videos. Free Art Reference Photos and How to Use Them Find thousands of absolutely free reference photos for you to use as inspiration for any of your paintings, drawings, pastels or watercolors. Choose from landscapes, seascapes, nature scenes, animals, flowers, still life scenes and more in beautiful, crisp photos by talented artists and photographers. Then, see how to transfer the images and use them in your art projects. Pro-Level Photography Lessons Take your skills to the next level. Follow hundreds of free, professional online lessons and demonstrations on still life, portrait, landscape and product photography. Learn new techniques. Use Photoshop and Lightroom editing tips. 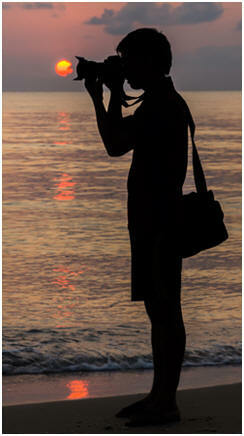 And, find forums of fellow photographers to share ideas with.